Parents dream of their children’s future. Many of those dreams include a college education. Getting into college is stressful enough without wondering how to pay for it. Parents shouldn’t need to mortgage the house to provide for their child’s college. There are several grants and scholarships available to help students pay for college expenses without graduating with a mountain of debt. The starting point for all financial aid involves the completion of the Free Application for Federal Student Aid (FAFSA). All grants and many scholarships require the FAFSA to be filed to determine financial need when making decisions. Parents and students need to include information from their Federal Tax Returns regarding income. The FAFSA can be filed electronically. The form can be obtained at www.fafsa.ed.gov. When looking for financial aid, start with the high school and the post-secondary institution(s) that are being considered. High school counselors can direct students to many grants and scholarships. Many colleges offer financial aid packages for those who qualify. There are two basic types of financial aid available: grants and scholarships. Grants are financial aid for post-secondary education that does not need to be repaid. Nearly all grants require parents to complete the FAFSA to assess financial need. There are federal, state and college grants available to those students who qualify. The Pell Grant is available to those students demonstrating exceptional financial need. Students must be enrolling for their first baccalaureate degree at a college or university and enrolled at least half-time (generally 6 credit hours). Awards are based on the students’ EFC and are determined by the U.S. Department of Education based on congressional funding. Further information can be found at www.grants.gov. This federal grant is open to students who are eligible for Pell Grants. Students must have completed a “rigorous secondary school program” as designated by the state in which the student resided when they completed the program. Students can receive up to $750 for the first academic year and up to $1,300 for the second academic year. Full-time enrollment (defined as at least 12 credit hours) is required. Only students graduating after January 2005 are eligible for the grant. Visit www.grants.gov for additional information. This grant is a federal grant with state-matching funds. It is open to Hawaiian residents with exceptional financial need (eligible for Pell Grant) and enrolled at least part-time. This grant is also known as the Leveraging Educational Assistance Partnership (LEAP). The award amount varies. Additional information is available at www.grants.gov. The University of Hawaii also offers a Hawaii Student Incentive Grant (HSIG). It is offered in conjunction with the Pell Grant. It is awarded annually to 470 undergraduates attending a Hawaiian college. The amount granted ranges from $200 to $2,000. Further information can be found at www.hawaii.edu. This grant is intended to protect the access of low-income students to pursue higher education. Students must demonstrate financial need on the FAFSA and be a resident of Hawaii. Students must be enrolled at least half-time (6 credit hours) as an undergraduate. Students may reapply each year if they are making satisfactory academic progress, pursuant to federal guidelines. The award amount varies. Further information on the grant can be found at www.hawaii.edu. Scholarships, on the other hand, are gifts awarded to students based on merit, need, recommendation and other factors. There are several scholarships available to Hawaiian students. Some must be used at a college or university in Hawaii, while others can be used at any post-secondary institution in the United States. There are also scholarships available for those students wishing to obtain vocational education training at a community college (i.e., electrician, HVAC, culinary arts). It should be noted that the majority of scholarships require that students be enrolled at a non-profit private or public college or university. Many scholarships require completion of the FAFSA if they have a need-based component. This program takes into account need and merit. Students must be enrolled within the University of Hawaii system and prove financial need on the FAFSA. The student’s high school GPA must be 3.0 (on a 4.0 scale) or higher. Students must have graduated in 2005 or later. There are specific academic requirements that must have been met in high school in order to be eligible for the scholarship. Visit oedb.org for additional information. These are administered by the Office of Hawaiian Affairs. The Office provides both scholarships and grants for various purposes including enrolling in math or science majors, business degree programs, attending a specific college and being a Native Hawaiian. Information regarding some specific scholarships can be found later in this article or by searching www.oha.org. The University of Hawaii offers an array of financial aid programs through SEED (the Office of Student Equity, Excellence and Diversity). Continuing scholars can be eligible for $1,000-$5,000 per year. Regent scholarships are available which offer full tuition for incoming freshmen with a GPA of 3.5 or higher and excellent ACT and/or SAT scores. The Presidential Scholarship offers full tuition for junior level students with a GPA of 3.7 or higher. Additional details can be found at www.hawaii.edu. The Gates Program selects 1,000 students nationwide to receive a “good through graduation” full-ride scholarship to use at the college or university of their choice. Students will also be mentored by a leadership guide from the Gates Foundation during their college education. This Program is specifically for minority students including Asian Pacific Islanders with high academic and leadership promise with significant financial need. The goal of the Program is to increase minority representation in computer science, engineering, education, health sciences, and mathematics. Further information on the Program can be found at www.gmsp.org. This program offers scholarships for Native Hawaiians wishing to pursue post-secondary education. There are many scholarships available in this program. The Kamehameha Scholarship has different scholarships available depending on the need and field of study. These are open to students who have graduated from the Kamehameha School as well as students attending other high schools. Na Ho’okama a Pauahi is a need-based scholarship for both undergraduate and graduate students. The award varies based on the availability of funds, program costs and the level of need. Imi Na’auao is available for post-graduate students. Hana Lima Scholarship provides financial assistant to students participating in a vocational or technical education program for an occupation that will provide a living wage. The award is need-based with preference being given to non-traditional students. Ke Ali’i Pauahi Foundation provides both merit and need-based assistance. Preference is given to graduates of Kamehameha School and to those with Hawaiian ancestry. The Liko A’e Native Hawaiian Scholarship Program is administered by the University of Hawaii Maui. It comes from the U.S. Department of Education via the Native Hawaiian Education Act. Additional information can be found at www.likoae.org. The APIASF provides scholarship funds to Asian and Pacific Islander American students with financial need. Students can attend any non-profit U.S. university or college. Students must have a minimum GPA of 2.7 or have a GED. A copy of the FAFSA and a letter of recommendation are required to apply. Go to www.apiasf.org for further information. This scholarship helps GEARUP scholars pay for college and can be used for any education expense including books, room and board, and food plans. The scholarship is renewable for up to four (4) years. Applicants are required to have a Board of Education recognized diploma with a GPA of 3.0 or higher plus completion of the applicable course requirements. Students must attend a non-profit college or university and have demonstrated financial need on the FAFSA and Student Aid Report (SAR). Additional information regarding this scholarship can be found at gearup.hawaii.edu. The Hawaii Community Foundation offers access to several different scholarships. Many are specific to a high school, university or major. A few of the more widely available scholarships are listed here. 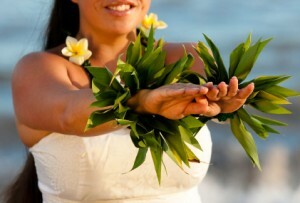 A complete listing of each scholarship and their requirements can be found at www.hawaiicommunityfoundation.org. ABC Stores offer two (2) scholarships. The first is the ABC Stores Jumpstart School scholarship. It is available to any employee or dependent employee of ABC stores or Island Gourmet Company Markets and be a resident of Hawaii. The scholarship is available to both full-time and part-time students. The ABC Stores Vocational Education Scholarship (VocEd) is open to employees or dependents of employees as shown above. It is available to students enrolled in AS or AAS career or technology degree programs within the University of Hawaii community college system. This scholarship is open to any student who has graduated from a high school in Hawaii and is attending a 2- or 4-year college or university in Hawaii. Preference is given to individuals with Filipino ancestry, but any student is able to apply. This is a scholarship for those students wishing to pursue vocational education (VocEd). 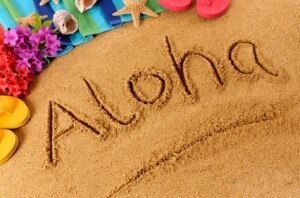 It is open to any resident of Hawaii planning to attend a vocational college or institution on the island. This scholarship is open to students of Hawaiian ancestry who are college juniors, seniors or graduate students. The application must include a statement from the student indicating how their knowledge will be used to serve the needs of the Native Hawaiian community. This scholarship is available to graduating high school seniors with a GPA of at least 3.5. Preference is given to students with a demonstrated financial need. In addition to the application, students must provide two letters of recommendation, a description of community service performed and an essay as indicated in the application. Pizza Hut awards scholarships to students with a demonstrated financial need who are Hawaii residents. Students must be attending a 2- or 4-year college or university. Students must have a GPA of 2.5-3.5 (no higher). Applicants need not be a Pizza Hut employee or a dependent of an employee to apply. Residents of Hawaii who plan to attend a Hawaii college or university can apply for this scholarship. Students must have a minimum GPA of 3.0. While preference is given to current and past Safeway employees and their dependents, any resident can apply. This scholarship is open to high school students at accredited eligible high schools in Hawaii. $1,000 is awarded to outstanding seniors who are nominated by their high school. Ten (10) additional finalists receive an additional $2,000. Out of those ten, one will receive an additional $5,000 and two will receive an additional $10,000. The scholarships are awarded based on financial need, academic achievement and extracurricular activities. Students must submit a personal essay. Each student is evaluated on their individual circumstances. As evidenced here, it is not necessary to be an honor student or living below the poverty level to obtain financial aid. Students and parents who are diligent and web-search-savvy can find several options for scholarships and grants enabling them to attend college and pursue their dreams.